Do you find yourself getting strange looks while wearing your fantastic Chewbacca hoodie out in public? 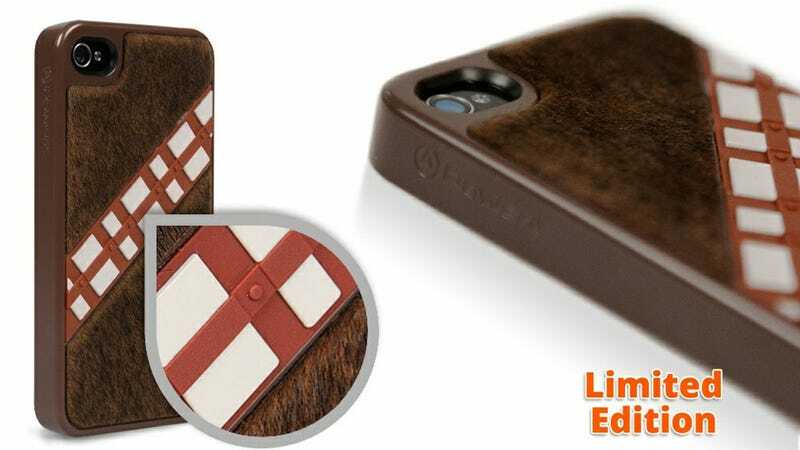 It's probably because you're using your iPhone without a matching Wookiee case, but that's now easy to remedy. A company called PowerA has recently debuted a new line of officially licensed Star Wars character cases for the iPhone, including designs modeled after Darth Vader, R2-D2, C-3PO, and the best of the bunch, Chewbacca. They all have unique details mirroring the characters from the films, but the Wookiee case easily stands out thanks to a luxurious coat of fur on the back that's sure to be softer than even an Ewok. Totally worth the $40 once they're available sometime later this year.